HotPants 2.0 Medium get you hot from waist to knees to give you a powerful boost whenever you’re active. They feature Zaggora’s signature Celu-Lite heating fabric technology and have thinner, stronger fabric, an improved anti-irritant waistband, and a flexible compression fit to get you hot in comfort and style. They’re an improved version of our original HotPants and fall below the knee for optimal coverage! The challenge is to wear your HotPants for 30-60 minutes each day. You take measurements before and after of your thighs, hips and waist. Check. I joined the gym, accepted some running challenges and it was time to rock and roll! Firstly, I have to say that my ‘week 1’ actually spanned 11 days. Wearing the pants for up to 60 minutes a day sounds easy right?! …not when you’re working long shifts and are too tired to exercise. So out of those 11 days I wore the pants for 6 days! 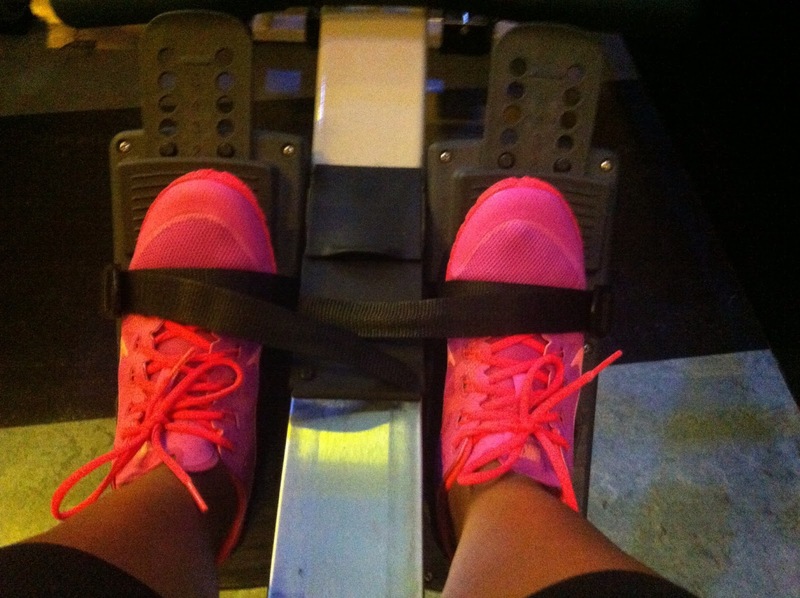 I hit the gym in them for some rowing, resistance training and abs work. I went running 4 of those days, taught a Nike Training Club class (not wearing the pants), went hard at a kettlebell class and began a press up challenge for August! The pants are all black, with the Zaggora logo on the bottom of one leg in yellow. They don’t look strange but they do feel a little like wetsuit material. I paired them with a long top and was good to go. I think I underestimated them to be honest. I don’t class myself as a heavy sweater but these hot pants changed the game. I thought they would make just my legs and core feel hotter but in fact I didn’t feel overly hot at all and I actually was sweatier all over in general! Removing the hot pants after a work out confused me…I was sure I had been swimming…or got caught in rain…the pants definitely need washing after every use which is difficult to do – sometimes they hadn’t dried in time so I had to postpone my workout! …I guess that’s cause for having more than one pair huh?! Other than the chaffing I have loved the hot pants…I’m sure soon my fellow gym goers may wonder why I’m always wearing the same trousers! Do you think they notice?! One more week of the challenge to go. I can tell you now though that this will be an Elle extended week again due to work and life! I’m hoping to have just as good results again but who’s to say its all just from the pants?! I guess we never can tell but if its a winning combination…it’s a winning combination! …check out the entire range for yourself over on the Zaggora website! Have you tried the Zaggora Hot Pants before?! What other methods have you used to get the results you wanted?! What Happened After Tough Mudder Full? Never tried them, thanks for sharing would like to give them a go sometime.